Please Note: Egypt and Jordan gratuities will be paid in advance ($130 per person will be added to your final invoice for gratuities to be paid to drivers, guides and hotel staff). Not Included: Gratuities, transfers (not included unless airfare is purchased from Pilgrim Tours), Egyptian visa ($25 - U.S. and Canadian Citizens). 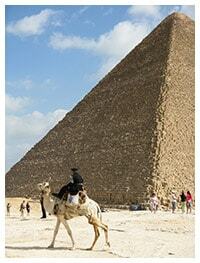 Egypt visa fee is payable upon arrival at the Cairo airport and does not need to be purchased in advance. Jordan visa regulations now require all passengers to purchase the visa on arrival or departure from the country. 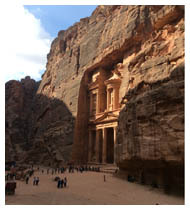 The $60.00 per person Jordan visa can be purchased on site at the Airport or Border Crossing. Breakfast and then a day tour to the ancient seaport of Alexandria where we will see the Greco-Roman culture in Egypt. The second largest city in Egypt, Alexandria, known as "The Pearl of the Mediterranean", has an atmosphere that is more Mediterranean than Middle Eastern ; its ambience and cultural heritage distance it from the rest of the country. First stop is the Fort at Quit Bay which will be followed with a visit to the ancient Catacombs of Kom and Pompay's Pillar. 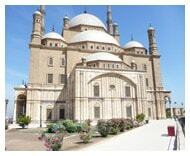 Before returning to Cairo we will relax with the breath-taking views of the Montaza Palaces. We begin our sightseeing with a visit to the Hanging Church - the most famous Coptic church in Cairo. The Hanging Church was named so as it was built by the Nile River over the Roman Gate of Babylon. During a walking tour, our guide will point out that this section of the old city was definitely the route taken by Abraham, Joseph, Moses and the family of Jesus - an inspiring thought. Next we visit the beautiful Alabaster Mosque of Muhammad Ali to better understand Moslem religious practices. Completed in 1848, the Ottoman-style Muhammad Ali Mosque is the most noticeable in all of Cairo and has dominated the skyline for the past 150 years. A stop will be made at the papyrus factory store, where we see the process of creating lovely Egyptian art pictures. We enjoy a short ride to Memphis. Founded around 3,100 BC, Memphis is the legendary city of Menes, the King who united Upper and Lower Egypt. 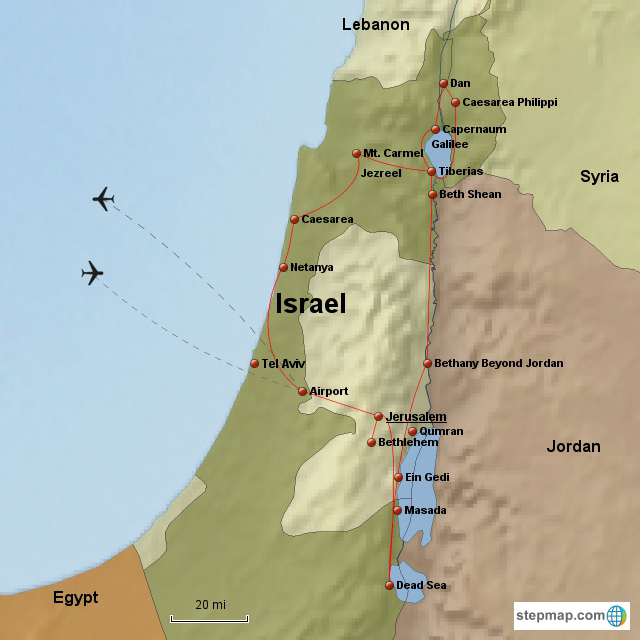 From a Biblical perspective, Memphis is most likely where Abraham lied to Pharaoh about his wife Sarah being his sister and where Joseph served as second in command. 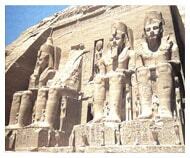 While in Memphis we will view a very large and well preserved statue of Ramses II. 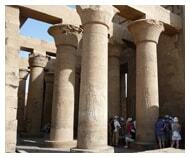 Next is Sakkara, which is one of the most extensive archaeological sites in Egypt! Sakkara is dominated by the Step Pyramid of King Zoser, dating back to 2700 BC. It is one of the oldest stone structures in the world! Enjoy a stop to see how local Egyptian carpets are made before a short drive to the south finds us in Faiyum, the region created by the divinely inspired wisdom of Joseph. Here you will find ancient storehouses and a man-made lake created by a canal, who's construction was ordered by Joseph. It was this lake that provided irrigation for a desert land and supplied the food needed to survive his prophesied seven year famine.